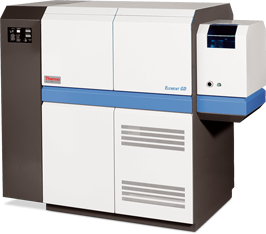 Providing complete material characterization mainly for metallurgy, the Thermo Scientific™ ELEMENT™ GD PLUS Glow Discharge Mass Spectrometer (GD-MS) features a fast glow discharge ion source in a high-resolution double-focusing mass spectrometer. 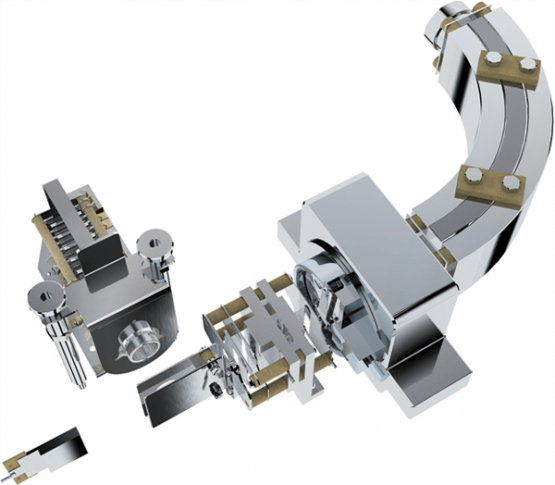 The ideal tool for the direct analysis of high purity conductive and semi-conductive materials. Almost all elements present in a solid sample can be detected and routinely quantified at or below the ppb range. Signal-to-noise ratios enabling sub-ppb detection limits based on high ion transmission combined with low background. The maximum level of selectivity and accuracy from high mass resolution of the Element GC Plus is a prerequisite for undisputable analytical results. The Element GD Plus is equipped with µs-pulsed fast flow glow discharge cell and high sensitivity ion source with pulsed discharge mode. It offers widely adjustable sputter rates for fast bulk analyses and advanced depth profiling applications. Alumina powder analysis is done by using a secondary electrode. The Element GD Plus is recommended for aerospace applications (e.g. nickel super alloys, composite materials, depth profiling of coatings and diffusion layers), microelectronics (e.g. copper, alumina powder, sputter targets), renewable energy research (e.g. silicon blocks, wafers, solar cells) and medical/pharmaceutical and food applications (e.g. stainless steel, alloys).